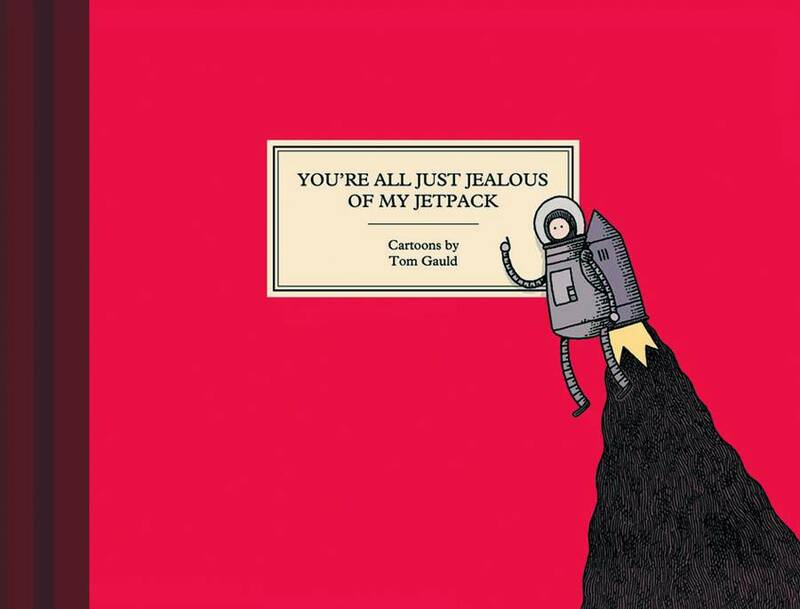 A new collection from The Guardian and New York Times Magazine cartoonist New York Times Magazine cartoonist Tom Gauld follows up his widely praised graphic novel Goliath with You're All Just Jealous of My Jetpack, a collection of cartoons made for The Guardian. Over the past eight years, Gauld has produced a weekly cartoon for the Saturday Review section of Britain's most well regarded newspaper. Only a handful of comics from this huge and hilarious body of work have ever been printed in North America - exclusively within the pages of the prestigious Believer magazine. You're All Just Jealous of My Jetpack distils perfectly Gauld's dark humor, impeccable timing, and distinctive style. Arrests by the fiction police and fictional towns designed by Tom Waits intermingle hilariously with piercing observations about human behavior and whimsical imaginings of the future. Again and again, Tom Gauld reaffirms his position as a first rank cartoonist, creating work infused with a deep understanding of both literary and cartoon history.